Belli Stretchmark Minimizing Cream uses scientifically researched ingredients, darutoside and regestril, to reduce the appearance of stretchmark depth up to 72% and length up to 52%. All ingredients in Belli products are selected based upon extensive reviews of published medical studies. OB/GYN and dermatologist recommended, our products are allergy tested, and are free of artificial dyes, fragrances, phthalates, and paraben preservatives. At Belli, we follow a unique safety screening process to avoid ingredients with harmful effects while breastfeeding. Picky for a purpose, all of our products are gluten-free and are not tested on animals. Upgrade your skincare routine for beautiful skin and peace of mind today! EXPECT BEAUTIFUL SKIN: Belli Stretchmark Minimizing Cream is specially formulated to decrease the appearance of existing stretch marks of any age and from any cause. It features Darutoside and Regestril, which are scientifically reportedclinically proven to reduce the appearance of stretch mark length and depth up to 52% and 72% respectively, and includes Avocado oil to help soften and moisturize the skin. CAN BE USED WITH OTHER BELLI PRODUCTS: For best results, we suggest using our Fresh Start Pre-Treatment 2-3 times per week, which will sweep away old cells and reveal new skin cells that can absorb Stretchmark Minimizing Cream more deeply and readily. APPLICATION INSTRUCTIONS: To use Belli Stretchmark Minimizing Cream, apply to stretch marks morning and night for 4 weeks and then once daily until desired results are achieved. PRODUCT SPECIFICATIONS: Package includes (1) 6.5 oz. 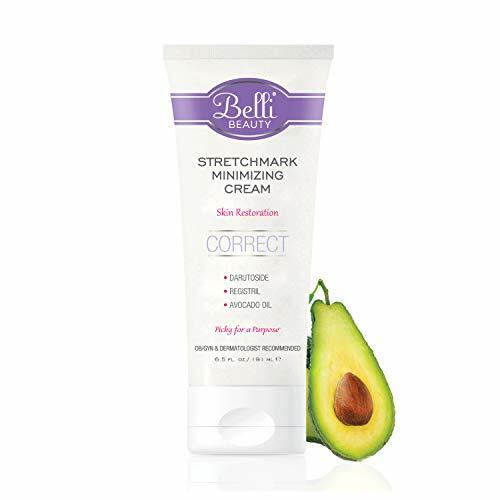 Belli Stretchmark Minimizing Cream. If you have any questions about this product by Belli, contact us by completing and submitting the form below. If you are looking for a specif part number, please include it with your message.